DICKSON COUNTY, Tenn. — Justice for Joe Clyde: Will it ever happen? The child's father is charged with homicide and his mother was charged with neglect. And yet, they won't stand trial for another year. Joe Clyde Daniels' parents were set to stand trial next month. But, not any more. The case is rescheduled for Februrary, 2020. Why? It all comes down to evidence in the case. Five-year-old Joe Clyde disappeared from his Dickson County home in April of last year. He initially confessed several times to the killing, but has since recanted. "So you are saying your client did not kill his son? That's exactly what I'm saying. Do you believe he knows what happened to his son? I don't believe he does," said Jake Lockert, Daniels' attorney. If he's innocent, why is Daniels now willing to sit in jail another year awaiting trail? "The things you look for in a case like this is does the physical evidence substantiate what he confessed to," said Lockert. To that end, he agreed to the delay to complete DNA testing on evidence results he thinks could clear his client. Investigators found blood on Daniels pants and in his truck after his arrest. Lockert believes the blood is not from Joe Clyde. He also thinks Daniels' confessions were coerced. "We'll obtain an expert with regard to false confessions," said Lockert. It was the District Attorney who asked for the trial delay this past week. Remember, Joe Clyde's body has never been found. So, how does the D-A prove he's even dead? "The state needs theories," said legal analyst Jim Todd. The DNA testing on the blood evidence will be crucial. In addition, we've learned there is some new physical evidence to be tested. And, who knows, with another year until trial, it's possible that Joe Clyde's remains could still be found. That would certainly help make the prosecution's case. "The state needs to give the jury a theory of the entire case. He killed the child and this is how he disposed of the child," said Todd. The twelve-month delay of the trial leaves the window open for more things to develop, potentially more evidence to surface. In the meantime, Joseph Daniels and his wife Krystal, who is charged with aggravated neglect, remain locked up awaiting trial. 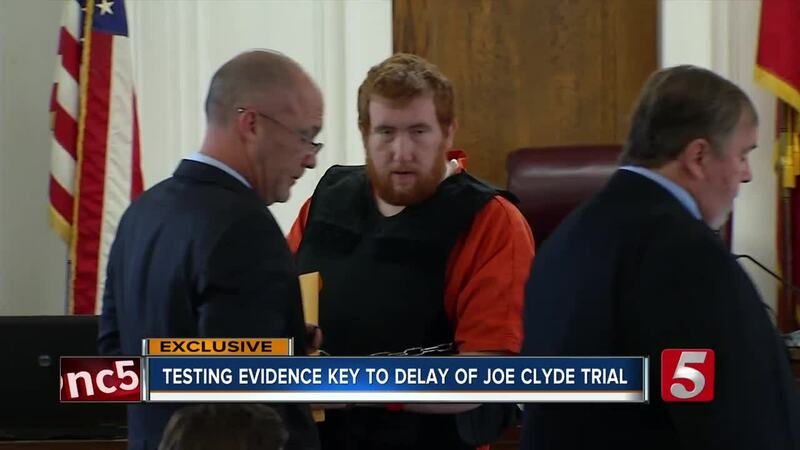 As it stands now, jury selection for the Joe Clyde trial is set for February 3, 2020.